Whatever Xiaomi touches, turns into gold. Or so it seems anyways. The company’s smartphones are already a rage in India, with devices like the Redmi Note 4 emerging as the highest-selling handset in the country last year. Now, the company is claiming that its latest smartphone, the Redmi 5A, has already sold 1 million units within the first month of its launch. However, the company sells much more than just smartphones, with its power banks often reported to be among some of the best-selling products in the segment. The company also sells a whole host of other mobile accessories, including, but not limited to, earphones, Bluetooth speakers and charging adapters. 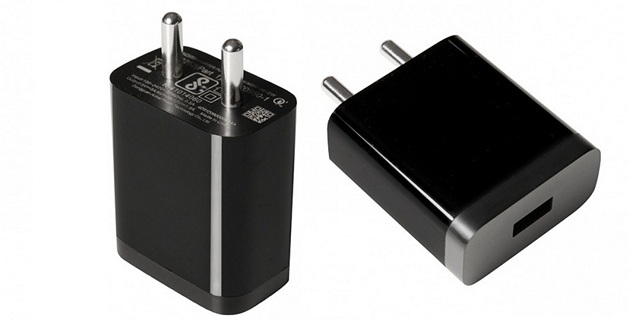 While the Chinese tech giant has now launched a Qualcomm-certified 18W charger (9V-2A / 12V-1.5A / 5V-3A power outputs) that comes with Quick Charge 3.0. Xiaomi’s Quick Charging Adapter is already available for purchase on the company’s official webstore. While it’s listed at Rs. 599, the company is offering a 25% discount right now, which means you can grab it for just Rs. 449 right now. According to Xiaomi, the charger has surge protection up to 380V and features ‘Automatic Temperature Control’ that will keep its temperature below 30-degrees, thereby preventing it from overheating. Xiaomi previously only offered a 5V-2A chargers in the country. While Xiaomi says that the device will support a whole bunch of its smartphones right out the box, only three of those smartphones on the list are available in India (Mi Max 2, Mi 5 and Mi MIX 2). Conspicuous by its absence is the Mi A1 that recently received Quick Charge support as part of the Oreo update, so in it should only be a matter of time before that one is also included in the list officially.